Holy Word: Aspire (Preghiera di Guarigione)... how can a prayer be instant cast? And so it would benefit from reducing it's cooldown to 7 sec. Divine Prayer (Inno Divino)... cause singing Hymns in battle sounds strange imo so 'Prayer' would replace it as a channelled spell with long cooldown. Preghiera Disperata is a life saver. Simbolo di speranza now prefers to target healers when it grants mana. Healers will always be picked before non-healers, regardless of how much mana they have. Balzo della Fede no longer has a facing requirement. Parola d'Ombra: Morte now deals 15% more damage. Parola d'Ombra: Dolore now deals 25% more damage. Estasi now energizes the Priest for 100% of the mana cost of Parola del Potere: Scudo/ When the shield is fully consumed or is dispelled (used to energize the Priest with mana equal to 150% of their spirit). This is the modified mana cost for Parola del Potere: Scudo, after being reduced by Rapture’s passive effect. Involucro Spirituale duration has been reduced to 10 seconds (down from 15 seconds), and the damage absorption shield's effectiveness can now be reduced through Battle Fatigue. Parole Sacre's mana cost reduction has been increased to 20% per stack (up from 10% per stack), and no longer displays a spell effect when in the UI when it's active. Apparizioni d'Ombra now creates a shadowy version of the Priest that floats towards the target and deals damage. The apparitions are now treated as a missile, and is no longer an attackable creature. Tocco Vampirico now deals 20% more damage. Piuma Angelica now increases allies' movement speed by 80%, up from 60%, and feathers placed in the world have a duration of 10 minutes (up from 5 minutes). for Discipline Priests now has a 100% chance to activate its effect after using Contrizione, up from 40% and now displays an effect in the UI when it's active. Stella Divina’s healing is no longer affecting by diminishing returns when used on multiple targets. Discipline, Holy: Now also has a chance to activate its effect on cast for these following spells; Contrizione, Parola Sacra: Santificazione, Preghiera di Guarigione, and Preghiera di Cura. Aureola’s healing is no longer affecting by diminishing returns when used on multiple targets. Plagiamente now deals 10% more damage, and mana return has been increased by 20%. Distorsione del Fato's damage and healing threshold to activate has been increased to 35% (up from 20%). Glyph of Dark Binding's effect is now baseline and has been replaced with Glifo Carbonizzato. Glifo Carbonizzato causes Preghiera di Guarigione to only bounce between the target and the caster. Glifo Carbonizzato now reduces the cooldown on without reducing its duration. Glyph of Lightspring has been renamed to Glifo Carbonizzato. Glifo Carbonizzato causes to heal for 50% more, but no longer automatically heal targets. Allies can click on the to heal. Glyph of Lightwell has been renamed to Glifo Carbonizzato. Glifo Carbonizzato increases the number of charges on by 2. Glifo Carbonizzato now causes Depurazione to heal the target for 5% of their maximum health after successfully dispelling a magical effect or disease (up from 3%). Glifo Carbonizzato now causes Parola del Potere: Scudo to reflect 70% of the damage absorbed (up from 45%). Glifo Carbonizzato causes the Priest's healing spells to momentarily grant angelic wings. Glifo - Inno Ispirato: A spirit appears above the Priest while channeling Hymns. Glifo Carbonizzato: Transizione del Vuoto causes the Priest and their target to exchange appearances for several seconds. Glifo - Spirito Sha Transforms the Priest's Spirito d'Ombra and Plagiamente into a Sha Beast. Discipline/Holy PvP 2-piece set bonus' (4-piece set bonus pre-Season 12) Scintilla Sacra effect can no longer be dispeled. Shadow PvP 4-piece set bonus is no longer an area-of-effect and only affects the character that dispels Tocco Vampirico. Fixed an issue where was not increasing the critical effect chance of , Stella Divina, and Aureola. Parola del Potere: Fermezza had its mana cost reduced to 1%, down from 4.4%. Dissoluzione di Massa no longer dispels magic effects that are normally undispellable. Cast time has been decreased to 0.5 seconds, down from 1.5 seconds for Discipline and Holy Priests. Transizione del Vuoto had its cooldown decreased to 5 minutes, down from 6 minutes for Discipline and Holy Priests. For Shadow Priests, cooldown has been increased to 10 minutes (), up from 6 minutes, and the spell is no longer usable while in Arenas or Rated Battlegrounds. Glifo Carbonizzato has been redesigned and no longer reduces cast time. The glyph now enables Mass Dispel to dispel magic effects that are normally undispellable. Glifo Carbonizzato no longer causes the additional 20% damage dealt by Punizione to transfer into Espiazione. Fixed an issue where Glifo Carbonizzato's movement speed increase was not stacking correctly. Espiazione now heals nearby friendly targets for 90% of the damage dealt, down from 100%. now reduces the cast or channel time of the next Priest spell by 15% after casting Parola del Potere: Scudo (was 15% spell haste). Contrizione now deals 10% less damage, but healing done is increased by 10%. Inno Divino now targets 12 raid members (up from 5) each time it heals when used in a 25-player instance. Abbraccio Vampirico now has a healing cap of 15 raid members (up from 6) when used in a 25-player instance. The amount of healing done by Cura Rapida, Cura Combinata, Rinnovamento, and Preghiera di Guarigione have been reduced by 20%. 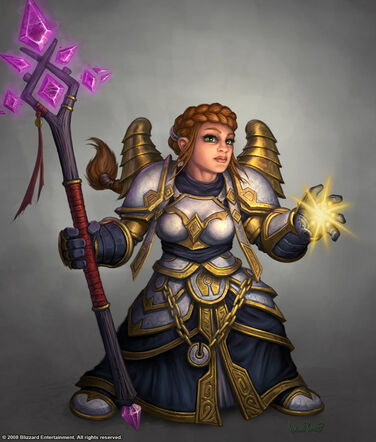 is a new passive ability obtained by Discipline and Holy Priests at level 10. This ability increases the amount of healing done by Cura Rapida, Cura Combinata, Rinnovamento, and Preghiera di Guarigione by 25%. For Holy and Discipline Priests, there is no change to the amount of healing done by those four spells. 's stacking effect now also increases the healing of Contrizione. 's Involucro Spirituale can no longer be dispelled. Controllo Mentale now has a 1.8 second cast time (was 2.5 seconds). Piuma Angelica now has a 6 second duration (was 4 seconds). Anima e Corpo now has a 3 second duration (was 4 seconds). Volontà Focalizzata is now a passive for Holy priests as well as Discipline priests. For Holy and Discpline, Power Word: Solace replaces Fuoco Sacro. It deals the same damage, and interacts with other spells and abilities in the same manner, but is instant, costs no mana, and restores 1% of maximum mana on each cast. For Shadow, this ability causes Mind Flay to gain the Insanity effect when it's cast on a target with 3 Shadow damage-over-time spells on it. Insanity increases the damage of Flagello Mentale by 33% per Shadow Orb consumed. Glifo Carbonizzato only works from Aculeo Mentales that aren't instant casts from Surge of Darkness. Glyph of Desperation has been replaced with Glifo Carbonizzato. Soppressione del Dolore and Spirito Custode can now always be cast while stunned. New Glyph: Glifo Carbonizzato applies Cura Combinata a third nearby friendly target, but costs 35% more mana. Glyph of Inner Focus has been replaced with Glifo Carbonizzato. Casting now always grants 5 seconds of immunity to Silences, Interrupts, and Dispels. New Glyph: Glifo Carbonizzato reduces the duration of Anima Indebolita by 2 seconds. Fuoco Sacro is now an instant cast ability. Glifo Carbonizzato has been redesigned. It now increases the range of Fuoco Sacro, Punizione, and Parola del Potere: Conforto by 10 yards. Fantasma no longer makes the Priest untargetable by ranged attacks, and the movement impairing immunity effect is now 5 seconds (was 3 seconds). Volontà Focalizzata now reduces damage taken by 15% per stack, with a limit of 2 stacks. Involucro Spirituale no longer benefits from Mastery, and now properly includes the benefits of and critical effect chance. Contrizione damage and healing has been increased by 20%. Rapture now reduces the cost of Parola del Potere: Scudo by 25% and provides mana equal to 150% (was 200%) of the Priest's Spirit, but no longer benefits from Spirit provided by short-duration bonuses. is no longer guaranteed when Preghiera di Cura is cast. The effect now procs when the spell crits. Involucro Spirituale can no longer be dispelled. Detonazione Mentale damage has been increased by 20%. ​The 2-piece Holy/Discipline PvP set bonus is now the previous Item - Priest PvP Set Discipline/Holy 4P Bonus 4-piece bonus, instead of Scintilla Sacra. The 4-piece Holy/Discipline PvP set bonus has been redesigned. It now reduces the cooldown of Chakra by 25 seconds. When Involucro Spirituale is active the mana cost of Flash Heal is reduced by 50%. New level 87 ability: Transizione del Vuoto. You and the currently targeted party or raid member swap health percentages. Increases the lower health percentage of the two to 25% if below that amount. Infusione di Potere is now a talent for all specs, but it can only be self-cast. Level 90 talents: , Stella Divina, Aureola. Other notable new talents include Parola del Potere: Conforto and Plagiamente. Some DPS abilities healers could formerly use, like Aculeo Mentale, are now Shadow-only. Flagello Mentale doesn't refresh Parola d'Ombra: Dolore. New ability: Involucro Spirituale. For the next 15 sec, your Heal, Flash Heal, Greater Heal, and Prayer of Healing no longer heal but instead create absorption shields that last 15 sec. Parola del Potere: Scudo will not be able to be as liberally applied due to mana regeneration changes. Estasi removes the cooldown of PW:S, but the overall regeneration will be lower in MoP than in Cata initially. Inno Divino is Holy only now. Parola del Potere: Conforto, a level 45 talent, converts into in Shadow: Consumes your Shadow Word: Pain to deal 2482 to 2618 (+ 243% of SpellPower) Shadow damage to the target. Only usable while Shadow Word: Pain has less than 6 sec remaining. Abbraccio Vampirico is now a 3 min cooldown instead of a passive buff. Fills you with the embrace of Shadow energy, causing you and your allies to be healed for 50% of any single-target Shadow spell damage you deal, split evenly between them. Lasts 15 sec. I am able to cast Parola del Potere: Scudo in and can find no documentation of why this is possible since it is clearly stated in that you can't cast Holy spells (also noted on this page). During vanilla, I was constantly switching classes, trying to find the perfect one for me. I tried Paladino, Cacciatore, Sciamano, and Ladro, but none of them stuck to me. Then I tried priest..oh boy.